Are you looking to buy a new Subaru? We have a fantastic range of new Subaru vehicles for sale now at Subaru Mandurah. Come and visit our Subaru Mandurah dealership and talk to our friendly sales staff about our award-winning cars. Looking for a small car with big possibilities? Why not take the new Subaru Impreza out for a spin? 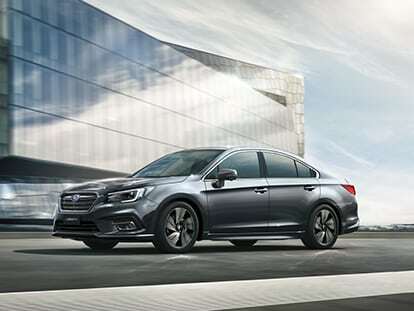 From its sleek design and all-wheel drive system to its powerful boxer engine, the Impreza is exciting yet refined. Maybe you’re after something more adventurous? Then you can’t go past the new Subaru XV. This compact SUV is designed for a feel-good drive, whether you’re zipping through the city or heading off-road. From our SUVs to our sports coupes, we have the range to suit any lifestyle. And as if that isn’t enough, when you buy a new Subaru from Subaru Mandurah, you are welcomed into the Subaru Owners Program, which includes benefits such as roadside assist, DataDot theft protection and Capped Price Servicing. If you would like more information about any of our new Subaru vehicles for sale, or to book a test drive, Contact Subaru Mandurah. Alternatively, visit our Mandurah dealership during business hours.